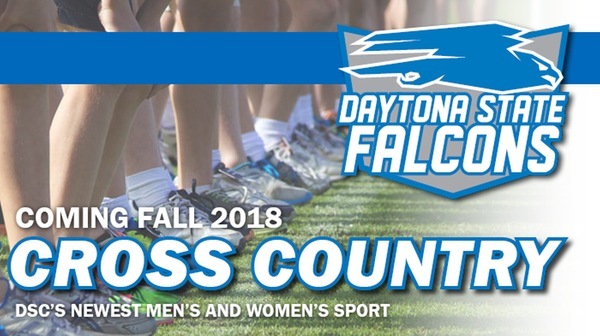 The Daytona State College Falcons will compete in cross-country during the 2018 season. On Thursday, 29 June 2017, Daytona State issued a press release stating the school's intention to hire a coach and field both a men's team and a women's team starting in 2018. In women's cross-country, the Falcons will be racing against more than a few other Florida teams in NJCAA Region 8. Chipola College, Pasco-Hernando State College, South Florida State College, and Tallahassee Community College, already fielded teams in 2016. Florida State College Jacksonville intends to have a women's team in 2017. Florida Gateway College has also announced plans to compete in women's cross-country in 2018. As for men's cross-country, Tallahassee Community College plans to have a team in 2017. It's a return to the sport for Daytona State, at least for the men. The school was founded as Daytona Beach Junior College in 1957, and almost immediately began a men's cross country program. On 1 October 1966 the school hosted the first annual Daytona Beach Junior College Invitational Cross-Country Meet, with a three-mile race right on "The World's Most Famous Beach." Daytona Beach, though, wasn't among the Florida programs that appeared at the NJCAA Cross-Country Men's Championships over the years--Brevard Community College, Miami Dade Junior College-North, Seminole Junior College, Miami Dade Junior College-South, Indian River Community College, Lake City Community College, Pensacola Junior College, St. Petersburg Junior College, Okaloosa Walton Junior College, and Florida Junior College. Successful or not, all of those schools eventually dropped men's cross-country, and the Daytona Beach Junior College Invitational disappeared as well. The school became Daytona State College in 2008, and in 2018 it will be among the colleges leading the re-birth of cross-country in Florida. Daytona State College will soon expand its tradition of excellence in athletics and academics with a new cross country program. At their June 29 meeting, the college's District Board of Trustees voted to add men's and women's cross country teams in the fall of 2018, the first in the Florida College System to offer a men's team in the sport. "After reviewing a number of options, our trustees and senior staff recognized that adding cross country would benefit the entire college, with minimal investment," said Tom LoBasso, DSC president. "We already have a successful track record in athletics with student-athletes who consistently perform well in school and after graduation. Adding to that will enhance our institutional success rates and give local high school students another avenue to pursue a future at Daytona State." DSC will begin rolling out the new program by adding a full-time faculty member this fall. In addition to teaching student success courses, required for new DSC students in the Associate of Arts program, the faculty member will serve as head coach for both the men's and women's teams. By the fall of 2018, the Falcons hope to have two, 10-person teams ready to run. The Florida College System Activities Association (FCSAA) currently has seven women's cross country programs, and Daytona State will be the first to offer a men's team. "We want to provide as many opportunities as possible for students to attend and excel in higher education," said Will Dunne, DSC athletics director. Noting the sport will add eight more athletic scholarships, four for each team of 10, he said it will open up new recruiting opportunities for local high school students to attend DSC. "Our athletes have a strong record of performance in their sport and in the classroom. These student-athletes will be able to play their sport for two years, get a great, affordable education and be more likely to graduate and move on to a four-year university." The Falcons currently have eight varsity sports including men's and women's basketball, men's and women's soccer, women's golf, women's fast-pitch softball, men's baseball and women's volleyball. DSC, which competes in the National Junior Collegiate Athletic Association (NJCAA) Division 1, offers an all-around sports complex, including the L. Gale Lemerand Health, Wellness and Community Education Center, an indoor pool, three top-notch playing fields and a field house. Daytona State carries a winning tradition in both competition and academics. The 2016-17 women's golf squad earned the program's ninth NJCAA Division 1 national championship and also received Mid-Florida Conference and FCSAA Women's Academic Team of the Year. The men's soccer team in its first year qualified for the NJCAA Division 1 national tournament advancing to the quarterfinals. And the men's baseball team earned its 11th consecutive FCSAA Men's Academic Team of the Year award for 2016-17. Over 90 percent of DSC student-athlete graduates transfer to a university. Gulf Winds Track Club Summer Trail Series #2, Elinor Klapp-Phipps Park (4-1/2 miles). 7:30 AM ET. Phipps Park, Miller Landing Road, Tallahassee, Florida 32312. 2016 story. 2015 story. 2014 story. 2013 story. Series web page. Event page on Facebook. Online registration at EventBrite.com. Jim and Kristin Halley GulfWindsTrails@gmail.com. Run For Freedom 5K. 8:00 AM ET. East Bank Park, Eufaula Street, Fort Gaines, Georgia 39851. fortfestivals@gmail.com or 229-254-0138. Medic Freedom 5K and one-mile fun run. 9:00 AM CT. Fort Walton Beach Landing Park, 139 Brooks Street, Fort Walton Beach, Florida 32548. Online registration at active.com. 2nd annual Big Sky Bravery 10K and 5K. 8:00 AM ET. Broadway & 11th Street, Columbus, Georgia 31901. Event website. Event page on Facebook. Online registration at RunSignUp.com. 32nd annual Freedom Springs Triathlon (440 yard swim, 10-mile bicycle, 3-mile run adults). 7:00 AM CT men's wave / 7:03 AM CT women's wave. Blue Spring Recreation Park, 5461 Blue Springs Road, Marianna, Florida 32446. Online registration at RunSignUp.com. 39th annual Melon Run Three Mile. 8:00 AM ET. Albert "Ray" Massey Westside Park, 1001 NW 34th Street, Gainesville, Florida 32605. 2016 story. 2015 story. Online registration at RunSignUp.com. 3rd annual FCHS Spritzer 5K and one-mile fun run. 8:00 AM ET. 2 East Gulf Beach Drive, Saint George Island, Florida. 2015 story. Entry form and flyer. Online registration at RaceIt.com. Kati Hathcock, khathcock@franklin.k12.fl.us or 850‐653‐6474. Taylor County Habitat For Humanity Homerun 5K. 8:00 AM ET. Rosehead Park, 105 East Ellis Street, Perry, Florida 32348. Online registration at active.com. 4th annual Watermelon Crawl 5K and one-mile fun run. 8:00 AM CT 5K / 8:45 AM ET one mile. Abraham Baldwin Agricultural College, 2802 Moore Highway, Tifton, Georgia 31793. 2016 story. 2015 story. Event web site. Online registration at active.com. Good Life City Runners Road Mile. 8:00 AM ET. Albany State University West Campus (nee Darton State College), 2400 Gillionville Road, Albany, Georgia 31707. Event page on Facebook. Big Dog Heat Wave Five Mile. 8:00 AM ET. Big Dog Running Company, 1200 Broadway Street, Columbus, Georgia. 2016 story. Event page on Facebook. Online registration at RunSignUp.com. Gulf Winds Track Club Summer Trail Series #3, Elinor Klapp-Phipps Park (5 miles). 7:30 AM ET. Phipps Park, Miller Landing Road, Tallahassee, Florida 32312. 2016 story. 2015 story. 2014 story. 2013 story. Series web page. Event page on Facebook. Online registration at EventBrite.com. Jim and Kristin Halley GulfWindsTrails@gmail.com. 33rd annual Bridge of Lions 5K. 7:30 AM ET. Castillo de San Marcos, 1 South Castillo Drive, Saint Augustine, Florida 32084. 2016 story. 2015 story. 2013 story. USATF certified course FL10062EBM. Event page on Facebook. Event web page. Entry form and flyer. Online registration at RunSignUp.com. Jacob Smith, racesmith@hotmail.com or 386-747-3532. Kiwanis 5K. 7:30 AM CT. Fort Walton Beach Landing Park, 139 Brooks Street, Fort Walton Beach, Florida 32548. Online registration at active.com. Diane Keller, diane@dianekeller.com or 850-585-1257. HOPE for Heroes and Horses 5K. 7:00 AM CT. 792 Highway 20, Youngstown, Florida 32466. Event page on Facebook. Take A Bite Of The Peach 5K and one-mile fun run. 8:30 AM ET one mile / 9:00 AM ET 5K. River Front Park, 112 North Front Street, Albany, Georgia 31701. Online registration at active.com. Flat Rock Park 5K. 7:30 PM ET. Flat Rock Park, 6106 Warm Springs Road, Columbus, Georgia 31909. 2016 story. Online registration at RunSignUp.com. Carolee Luther, caroleeluther@gmail.com or 706-593-2909. Gulf Winds Track Club Summer Trail Series #4, Tom Brown Park (4-1/2 miles). 6:30 PM ET. Tom Brown Park, 501 Easterwood Drive, Tallahassee, Florida 32311. 2016 story. 2015 story. 2014 story. 2013 story. Series web page. Series page on Facebook. Online registration at EventBrite.com. Jim and Kristin Halley GulfWindsTrails@gmail.com. 20th annual Summer Sizzler 5K and one-mile fun run. 6:30 PM ET one mile / 7:00 PM ET 5K. Lighthouse Park, 2 East Gulf Beach Drive, St. George Island, Florida 32328. 2016 story. 2015 story. 2014 story. 2013 story. 2012 story. 2011 story. 2010 story. 2009 story. USATF certifed course #FL13045EBM. Event web site. Event profile on Facebook. Entry form and flyer. Online registration at active.com. info@stgeorgeislandsizzler.com or 850-509-2191. 28th annual Run For Love 5K and one-mile fun run. 7:15 PM ET. Red Hill Athletic Center, Abraham Baldwin Agricultural College, Stallion Road, Tifton, Georgia. 2016 story. 2015 story. 2014 story. 2010 story. Online registration at active.com. 29th annual Bushwacker 5K. 7:30 AM CT. Gulf Breeze Recreation Center, 800 Shoreline Drive, Pensacola, Florida. USATF certified course FL10048EBM. 2016 story. 2015 story. Event web page. Event page on Facebook. Online registration at SignMeUp.com. 2nd annual Back The Blue 5K and one-mile fun run. 8:00 AM ET 5K / 8:45 AM ET. Wild Side Running, 2341 Lake Park Drive, Albany, Georgia 31707. 2016 story. Online registration at active.com. Gulf Winds Track Club's 20th annual Breakfast On The Track One Mile Run. 7:45 AM ET. 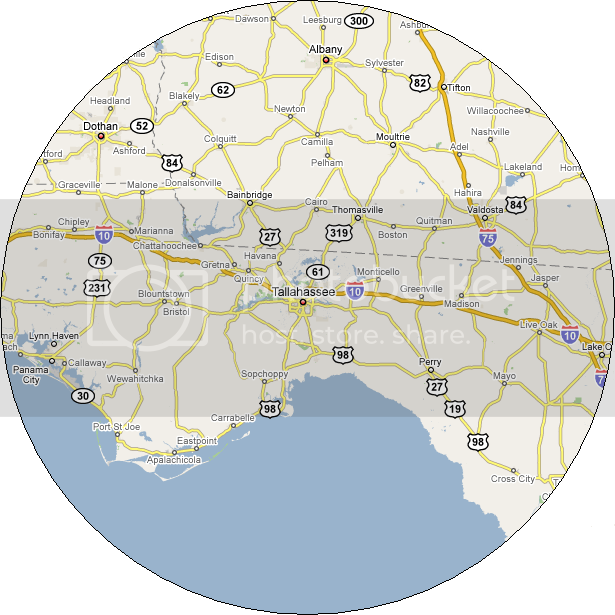 Maclay School track, 3737 North Meridian Road, Tallahassee, Florida 32312. 2016 story. 2015 story. 2014 story. 2013 story. 2012 story. 2011 story. 2010 story. 2009 story. Event page on Facebook. Online registration at EventBrite.com. Bonnie Wright, bonniedwright@gmail.com or 850-386-3500. 6th annual Run to Remember 10K, 5K, and one-mile fun run. 7:00 AM ET 10K, 5K / 7:15 AM ET one mile. Moultrie/Colquitt County Parks and Recreation Department, 4th Street SE, Moultrie, Georgia. 2015 story. 2014 story. Event web site. Online registration at RunSignUp.com. sha.missions@gmail.com or 229-528-4967. Gulf Winds Track Club's Miller Landing Madness 8K/5K/3K. 8:00 AM ET. Elinor Klapp Phipps Park (Gate B), 1775 Miller Landing Road, Tallahassee, Florida 32312. 2016 story. 2015 story. 2014 story. 2013 story. 2012 story. 2011 story. 2010 story. 2009 story. 8K course map. 5K course map. 3K course map. Event page on Facebook. Online registration at EventBrite.com. Tom Perkins, 850-894-2019 or Bill Lott, 850-656-1273. Life Is A Beach 5K Trail Run. 8:00 AM CT. Westgate Park, 801 Recreation Road, Dothan, AL 36303. 2016 story. 2015 story. 2014 story. 2013 story. 2012 story. 2011 story. 2010 story. Event web page. Entry form. Larry Dykes, drcprez@yahoo.com or 334-792-6021. Lakebottom Park 5K. 8:00 AM ET. Weracoba Park, Columbus, Georgia 31901. 2015 story. Online registration at RunSignUp.com. Carolee Luther, caroleeluther@gmail.com or 706-593-2909. 4th annual Cross Country 5K Challenge. 7:45 AM ET. Rembert Farms, 13126 NW 174th Avenue, Alachua, Florida 32615. Online registration at RunSignUp.com. 12th annual Blazer Dash VSU Community 5K and one-mile fun run. 7:30 AM ET 5K / 8:30 AM ET one mile. Valdosta State University Campus Recreation Center, 1300 Sustella Avenue, Valdosta, Georgia 31698. 2015 story. 2014 story. 2013 story. 2011 story. 2010 story. Big Dog Running Company Teen Challenge 5K and one-mile fun run. 8:00 AM ET. Iron Bank Coffee Company, 6 W 11th Street, Columbus, Georgia 31901. Event page on Facebook. Entry form and flyer. Online registration at RunSignUp.com. 37th annual Midnight Express 5,000 Meter Road Race. 11:59 PM ET. Country's Barbecue, 3137 Mercury Drive, Columbus, Georgia. Entry form and flyer. Online registration at RunSignUp.com. 38th annual Midnight Chase 5K and 1/2-mile fun run. 11:30 PM CT half mile / 12:00 Midnight CT 5K. Old K-Mart and Beall's Outlet Parking Lot, 7038 W Hwy 98, Panama City Beach, Florida 32412. 2015 story. Entry form and flyer. Online registration at active.com. Joe Edgecombe 850-774-0018 (c) 850-763-5005 (h). 6th annual Alys Beach 5K and one-mile fun run. 7:00 AM CT 5K / 8:15 AM CT one mile. Alys Beach Resort, 9581 County Hwy 30A East, Panama City Beach, Florida 32413. 2015 story. Event web page. Online registration at active.com. Big Dog Labor Day Classic 10K. 7:30 AM ET. Headquarter Nissan, 1725 Whittlesey Road, Columbus, Georgia 31904. Event page on Facebook. Online registration at RunSignUp.com. 36th annual Sickle Cell Foundation of the Big Bend 5K and one-mile fun run. 8:10 AM ET one mile / 8:30 AM ET 5K. Jake Gaither Park, 801 Tanner Drive, Tallahassee, FL 32305. 2016 story. 2015 story. 2014 story. 2011 story. 2010 story. USATF certified course #FL12057EBM. Event web site. Event page on Facebook. Online registration at EventBrite.com. Jill Huewitt, jill@sicklecellfoundation.org or 850-222-2355. 2nd annual South Georgia Ballet Tutus and Tennis Shoes 10K, 5K, and fun run. 8:00 AM ET fun run / 8:30 AM ET 10K and 5K. Thomas University, 1501 Millpond Road, Thomasville, Georgia 31792. 2016 story. Event page on Facebook. Online registration at RunSignUp.com. 6th annual Chehaw Through The Zoo 5K. 7:30 AM ET 5K. The Parks at Chehaw, 105 Chehaw Park Road, Albany, Georgia 31701. 2015 . Event page on Facebook. Online registration at active.com. B1 5K and one-mile fun run. 8:00 AM ET. McKey Park, 112 Burton Street, Valdosta, Georgia 31602. 2016 story. Gulf Winds Track Club's 42nd annual Salute to Prefontaine 5K Cross-Country Run. 8:30 AM ET. Silver Lake Recreation Area of the Apalachicola National Forest, Silver Lake Road, Tallahassee, Florida. 2016 story. 2015 story. 2014 story. 2013 story. 2012 story. 2011 story. 2010 story. Event page on Facebook. Online registration at EventBrite.com. Doug Bell, Douglas.bell@bipc.com or 850-510-7146. 4th annual Saint Jude Run To End Childhood Cancer 5K. 8:00 AM ET. 3196 Merchants Row Boulevard, Tallahassee, Florida 32311. 2016 story. Event web page. 4th annual Pass The Pastor 5K. 8:00 AM CT. Ozark Baptist Church, 282 South Union Avenue, Ozark, Alabama 36360. Event web page. Haunted 5K Glow Run. 7:00 PM CT. 5899 Buckward Road, Baker, Florida 32531. Event web page. Online registration at RunSignUp.com. Gulf Winds Track Club's 36th annual Tallahassee Women's Distance Festival 5K and one-mile fun run. 8:00 AM ET 5K women / 8:05 AM ET 5K men / 9:00 AM ET one mile. Optimist Park, East Indianhead Drive, Tallahassee, Florida. 2016 story. 2015 story. 2014 story. 2013 story. 2012 story. 2011 story. 2010 story. 2009 story. USATF certified course #FL06045DL. Event page on Facebook. Online registration at EventBrite.com. Lisa Unger, unger4122@comcast.net or 850-544-4893. 11th annual Trot with S.W.A.T. 10K and 5K. 8:00 AM CT. Poplar Head Park, 126 North Saint Andrews Street, Dothan, Alabama 36303. 2013 story. Carol Goguen, cgoguen@graceba.net or 334-794-9029. Run Through The Dark 10 Mile and 3 Mile. 7:30 PM ET. Chehaw Park, 105 Chehaw Park Road, Albany, Georgia 31701. Event page on Facebook. Online registration at UltraSignup.com. 7th annual Get-A-Mammy 5K. 8:00 AM ET. Bethany Baptist Church, 5064 Bethany Road, Hahira, Georgia 31632. 2016 story. 2014 story. 2013 story. 2012 story. 2011 story. YMCA Holiday Chili Run 15K, 5K, and one-mile fun run. 7:30 AM ET one mile / 8:15 AM ET 15K / 8:30 AM ET 5K. Albany Area YMCA Central Facility, 1701 Gillionville Road, Albany, Georgia 31707. 10th annual Valdosta Memorial Day 5K. 8:00 AM ET. Valdosta Early College Academy, 1605 Azalea Drive, Valdosta, Georgia. 2017 story. 2016 story. 2015 story. 2014 story. 2013 story. 2012 story. 2011 story. 2010 story. Online registration at RunSignUp.com. A Course/Line, LLC, acourseline@earthlink.net or 229-630-1455. 10th annual Valdosta Independence Day 5K. 7:30 AM ET. American Legion Post 13, 1301 Williams Street, Valdosta, Georgia 31602. 2017 story. 2016 story. 2015 story. 2013 story. 2012 story. 2011 story. 2010 story. Online registration at RunSignUp.com. A Course/Line, acourseline@earthlink.net or 229-630-1455.